I have started blogging on my site long ago and my whole idea was to make script repository so that others can reuse it. Now when I look back, there are many scripts and many solutions which I have written. Personally, I have used many of them. Today I am sharing another script which I have used with one of my clients and it was very useful for me in troubleshooting a strange TempDB log file issue. Let us learn about Monitoring TempDB Space Usage. 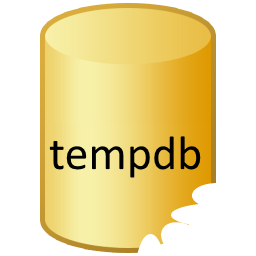 The database file and the Log file for the Tempdb has grown to a huge size. Found the Tempdb data file (mdf) was just 5 GB but the transaction log file (ldf) was 80 GB. First, I ran below query to find out the usage. Above query showed all of them as zero except two columns. This showed a lot of rows and few rows were suspicious. So, I ran command to find the transaction which is still using transaction log. This also showed the same rows which were suspicious. Finally, I wanted to know the source of those queries and ran following script. Here was the query which was the cause. Kill above SPIDs and shrink the database files. Restart the instance of SQL Server. Do you have any such scripts which you would like to share with other readers?